Proactive Movement would not be here without our amazing clients and partners. We don’t mean to brag but we love to share their success! You will surely be inspired, too! Click on the type of story you wish to read. Change-Makers! Read about how forward-thinking leaders put their employees first! Our Hero’s! Read about how employees took action, brought Proactive Movement to their workplace and how much they loved it! Success Stories! Check out the amazing accomplishments our clients have achieved! Working Together! Our like-minded partners believe that change happens when we work together. Don’t you agree? At GCI we take pride in our creative and high performing workforce. We work hard and play hard and as a result want to be sure we are taking care of our most important asset our employees. Proactive Movement was introduced to us by one of our own associates so we dove right in. Started our employee wellness program as a pilot in 2008 and continuing to expand it year after year. We know its a success. Why? over 80% of our employees participate in the program and continuously confirm their satisfaction with the program. is an absolute hit with never ending waitlists – When we brought in ProactiveChallenge we saw huge changes in our staff’s daily practices as a result participants benefited from a cumulative weight loss of 50lbs and an overall reduction of 21inches in waist size. Due to the change in our well-being culture we’ve also changed our catering policy to ensure healthier eating options at the workplace. 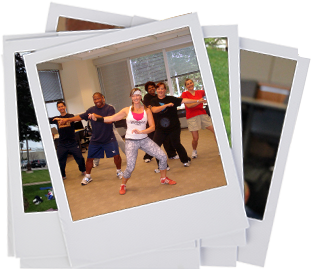 The Proactive Movement program’s made it easy for us to retain healthy and happier staff! Proactive Movement has been a very positive addition to our vendors at Howie, Sacks & Henry LLP. 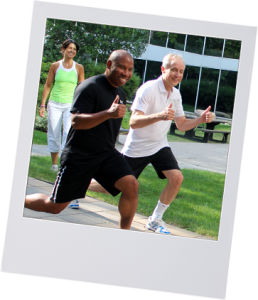 As a passionate firm that is dedicated to taking care of our employee health and engagement we look forward to their highly interactive wellness programs as we recognize our staff are our most important asset. Specifically, we have gotten more out of our yearly ProactiveLearning program than we could ever imagine. 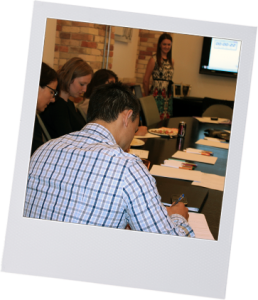 All seminars are a popular event to attend at the office and we have received amazing feedback from our employees. They not only provide interesting and practical health information but also have inspired meaningful change in our employee’s attitudes and behaviors. We recognize that our employees are faced with work-life balance and healthy living challenges, and we are grateful to Proactive Movement for assisting our staff with their challenges. Our hero’s! 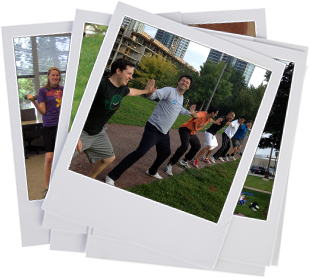 Read about how employees took action and brought Proactive Movement to their workplace and how much they love it! How long have you been with Proactive Movement & what’s your story? Since 2008. Our role in the social committee is to continuously find ways to give back to our staff. Truth is the bowling nights and BBQs were just not cutting it. We wanted to really celebrate our staff and make a positive impact in their lives – do something meaningful. We got in contact with Proactive Movement and started with the ProactiveAssessment to make sure we were giving staff what they really wanted. They wanted it and so much more! We brought in a bunch of classes from Pilates to Body Blast to Zumba. It gave staff the opportunity to socialize and get healthy. It’s been over 5 years, and we are still going strong! It has put a bounce in everyone’s step! We have to organize events as a part of our mandate, so it’s so great to bring programs that are employee driven, meaningful and give back such great results! The ProactiveAssessment nailed it! They designed the best program for us, and continuously reassess to make sure they are meeting our needs. It’s been over 5 years, and we are still going strong! Since 2010. We are a male-dominated department of software developers and computer engineers. Yoga at work wasn’t really the first thing on our minds when we started thinking about our employee’s wellness. We do a lot of sitting – we wanted to change that. We thought this program would bring positive change to the workplace and give us healthy breaks. But we weren’t sure, so we started with the ProactiveAssessment and learned about our team and their needs. Everyone loves the Fitness sessions at lunch and work! Our first set of classes were sold out in the first hour, so we had to add more! Years later the programs are still successful and we have 40% company participation. It so great to see a healthy and vibrant staff. We couldn’t be more excited! And Proactive Movement made it possible! The ProactiveAssessment sells it alone, we learned about our team, their goals, their needs and worked with Proactive Movement to bring the best programs for us! How long have you been with Proactive Movement and what’s your story? Since 2008 and still going strong! 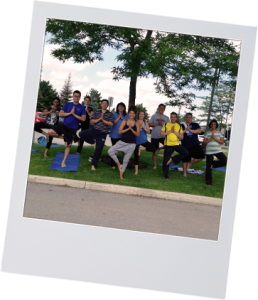 We started with a pilot Yoga program then expanded to include several ProactiveFitness classes, some ProactiveLearning series and ProactiveMassage! We just can’t get enough. I’m so happy we continued to work with management to bring ProactiveFitness to our worksite! The program has made healthy living and physical activity so easy for our staff. The age of the participants in our office range widely from 20s – 50s. So we love hearing that all participants are enjoying the program and reaping the benefits. Health comes to us! I am a busy working mom before Proactive Movement I could never find the time to fit it all in. Now its so easy and super fun! Also two of my colleagues lost almost 100lbs each. It’s so exciting to see our collective dedication make such an impact company-wide. Bailey is very focused on customer satisfaction. The team puts in a lot of effort to ensure the programs offered are a perfect match for our employees and are constantly checking in, coming up with new ideas to keep engagement high and to make sure everything is running smoothly. They really are the BEST! Why do our clients continue to work with us? 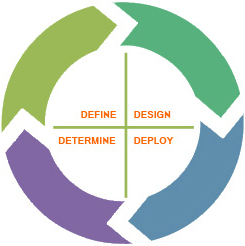 In simple terms, our programs are HIGH impact and take LITTLE effort in implementation and maintenance. Want proof? Over 90% of program participants agree that having Proactive’s onsite programs has increased their employee satisfaction and commitment. ~ 60% of program participants agree that they would not engage in physical activity in the absence of their onsite Proactive program. More Success Stories! Check out the amazing accomplishments our client’s have achieved! 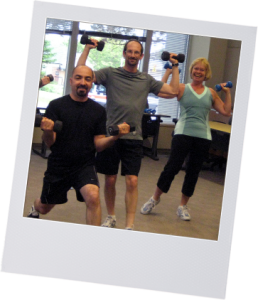 I have been an avid participant of Proactive Movement’s ProactiveFitness classes for over two years. Fitness classes in a boardroom seconds away from my cubicle is the way to go! I feel stronger, healthier and generally happier because I know that I am finally doing something great for myself and for my body. One of the best things about Proactive Movement is their instructors. They are genuinely committed to helping us reach our goals. In 2 months I lost 20 lbs through exercising 5 days a week and changing my eating habits. I have never been one for diets so instead I was taught how to make a complete lifestyle change and it has worked! When I started, I weighed almost 200lbs and today I am below 150lbs. Of course I have fallen off the wagon once or twice but it only motivates me more to jump back on and continue the journey. I am never going back! Thank you Proactive Movement you made it easy! Proactive Movement couldn’t have come into our work at a better time. Since I have always been ‘in shape’ I didn’t notice my gradual weight gain and the problems that it was causing. I was 5’7″, 220lbs, with a 37″ waist with bad knees, aching feet and back pain. Proactive started at our company by offering exercise classes in our boardrooms and I thought heck it can’t get easier than this. So I started off with Yoga to help with my flexibility and stress management. It was a great revelation being able to exercise at work. It became a great stress reliever too. Then came the moment that CHANGED my life. 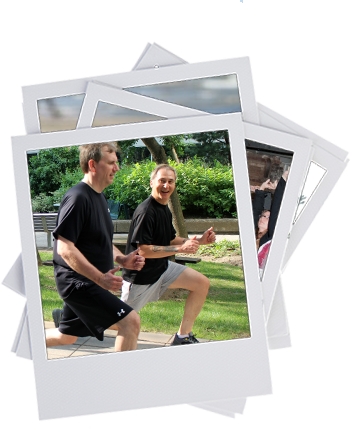 In January of 2010 we were offered a ProactiveChallenge weight-loss program. 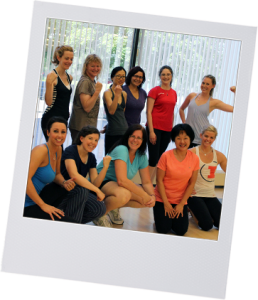 We enrolled in workshops that covered everything from healthy eating, to the science of habit along with fitness classes targeted for weight loss. Within 5 short months I had totally transformed myself. I had non-stop compliments and inquiries about what I was doing. I had reduced my weight to 173lbs and a 32″ waist. Proactive Movement not only changed my physical appearance but they changed my life. As they say, it is not a diet but a lifestyle change – they showed us how. I have still kept off the weight and as a result my health has improved dramatically. 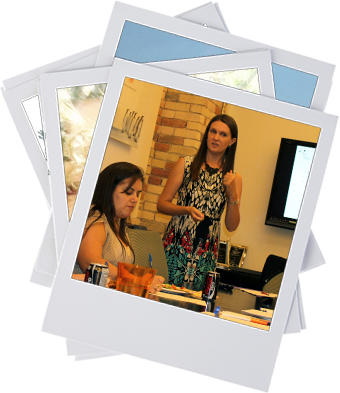 And the instructors and facilitators – I can’t say enough – they are extremely knowledgeable, fun to be around and are always motivating you to be your best. I thank Bailey Vaez and everyone else associated with Proactive Movement for doing what they do, I’m still seeing the positive effects! As a working professional and a single parent, time is not in abundance for me. Joining various gyms, and attending alternating workshops on health matters used to be very time consuming and ineffective. With the ease of Proactive Movement’s onsite fitness classes and health workshops I have the opportunity to spend more time on other aspects of my life and make sure my personal needs aren’t neglected. After starting with Proactive Movement’s programs I not only feel extremely energized, but I have lost inches on my waist, improved my eating habits, and revamped my overall outlook on life. The greatest thing about Proactive Movement is their friendly and personalized approach and the quality of their trainers and facilitators. The fitness classes specifically are conducive to working hard in a manner that suits each member. This has definitely been the most successful workout experience for me and there is no doubt the benefits will continue. Working out and getting back into shape with Proactive Movement has been a lot of laughs along with good hard work and loads of sweat. The group sessions keep me motivated while having fun with coworkers at the same time. I would definitely recommend this program for anyone who wants an easy solution to keeping active! Proactive Movement’s ProactiveLearning “Stress Management” program really helped our department get to the bottom of some common employee concerns. The sessions were extremely applicable and insightful and our facilitator was awesome! I would certainly recommend Proactive Movement to other corporations. I was also very impressed by the pre-seminar online questionnaire that was distributed to our staff. This really had a positive impact on the conversations that took place the day of the session; it prepared us and prepared them in really targeting our concerns. We are extremely satisfied with Proactive Movement. The best thing about working with Bailey and her team is the ease of booking various services, managing schedule changes and their constant attention to client satisfaction. They have been extremely attentive to any of our needs and checks in with us regularly. With the biweekly ProactiveMassage program our staff get a moment to relax and manage their stress levels, and this positive service definitely benefits both the individual and the organization. We are in it together! Our like-minded partners show that change happens when we work side by side. We provide support to our clients when they need it most: in times of need. We are dedicated to provide Employee Assistance Programs that are responsive, confidential, and cost effective. Our clients tell us over and over again that their mental, physical and emotional states are being compromised due to never ending responsibilities and hectic lifestyle. Therefore, creating a culture of care with employee wellness programs is a valuable solution to strengthening and energizing any workplace. 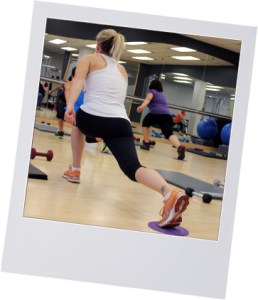 Why do we love endorsing Proactive Movement? With a very simple yet strategic approach, they make it easier for our clients to engage in self-care activities to reset– so if and when Aspiria has to step in, a healthy foundation has already been established. Regardless of sector, industry, or company I always see the same reoccurring issue – employees want to feel valued, not just as workers but as human beings and are feeling more burnt-out than ever before. When management takes a sincere interest in their employees through worthwhile programs such as Proactive Movement’s workplace wellness initiatives, the workforce slowly transforms into a healthier entity, which benefits all and shows a caring intent. 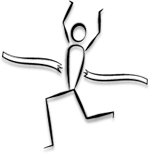 Proactive Movement’s programs enable healthy activity within the workday which in simple terms is the necessary break required to re-set the never ending fast pace. When it comes down to it great amount of research indicates 80% of chronic diseases can be prevented with healthy lifestyle choices. One of the main reasons group benefit premiums increase year after year is due to increased usage. We want to help our clients manage their cost and retain a healthy workforce and we know the answer is health promotion– that’s where Proactive Movement comes in. 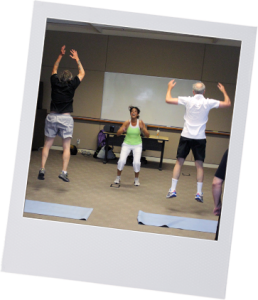 Proactive Movement makes workplace wellness programs accessible and easy to implement. Employees are taught and supported with activities such as healthy eating, physical activity and stress management, resulting in healthy staff and company savings. In our opinion there is no other way. Want to experience the same or obtain even better results? Then, lets get started.